An elastic bandage around the area can provide some compression. It may help to stop more swelling. 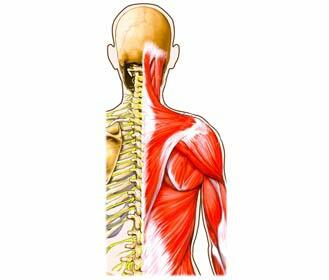 Muscle strain. Johns Hopkins Medicine website. Available at: http://www.hopkinsortho.org/muscle%5Fstrain.html. Accessed December 31, 2018. Sprains, strains, and other soft-tissue injuries. Ortho Info—American Academy of Orthopaedics website. Available at: http://orthoinfo.aaos.org/topic.cfm?topic=A00304. Updated July 2015. Accessed December 31, 2018. 1/4/2011 DynaMed's Systematic Literature Surveillance http://www.ebscohost.com/dynamed: Massey T, Derry S, Moore R, McQuay H. Topical NSAIDs for acute pain in adults. Cochrane Database Syst Rev. 2010;(6):CD007402.